With every new product, there comes a point when it's released to the world. Corporations and manufacturers dream of that moment, and go through a lot of song and dance to make sure the product release goes smoothly. In some cases, they end up being a disaster. Fictional products from sci-fi movies are the same. Here are five cases where the new products end up causing havoc on their release. 5. The N-S5 (I, Robot) - In the 2004 science-fiction movie loosely adapted from Isaac Asimov's short-story collection, I, Robot featured a world where robots serve as servants for humans. The US Robotics Corporation is planning to release a new robot line called the N-S5. Unfortunately, it turns out that an insane super-computer is using the robots against humans. The day of the product launch, the N-S5s attack and try to overthrow humanity. No mention of whether anyone who bought an N-S5 got a refund. 4. 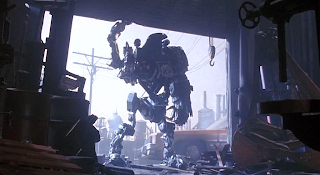 Robocop 2 (Robocop 2) - In the sequel to cyborg robot action movie, Robocop 2 is about the attempt by Omni Consumer Products to create a second robotic cop. They decide to use the brain of a sociopath named Cain, who goes wild at the press conference announcing his existence. He proceeded to open fire on the crowd and engage Robocop in a vicious battle through Detroit. Talk about a public relations disaster. 3. Soylent Green (Soylent Green) - This 1973 scifi movie shows an overcrowded future where unemployment and hunger are rampant. Most of the population survives on rations of food, including the new delicious wafers known as Soylent Green. The Soylent Corporation says Green is made of "high-energy plankton," but shortly after they're released, a cop discovers Soylent Green is made out of people. It's peeeoplllle! The movie doesn't show it, but I have a strong hunch that there was a slight drop in sales after that revelation. 2. 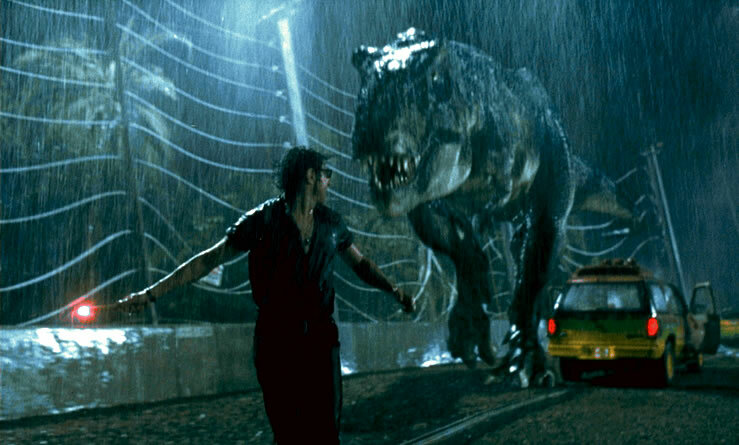 Jurassic Park (Jurassic Park) - The 1993 movie's theme park of genetically engineered dinosaurs is one of the best and worst ideas of all time. Best in that bringing dinosaurs back to life is a dream come true. Worst in what actually happens. When the theme park is launched, the first visitors to the park end up being the first victims as they're attacked and (in some cases) eaten by the dinosaurs. After that, the park was closed for re-modeling. 1. 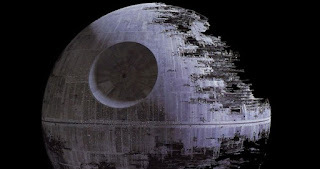 The Death Star (Star Wars) - In the 1977 sci-fi movie, the Galactic Empire has a problem. They want to rule the Galaxy, but can't be everywhere at once. That's why they create the "ultimate power in the universe," the Death Star. The Empire announced the release of the Death Star by blowing up the planet Alderaan. Billions of people killed for one announcement - that's what I call a press conference. Which of these do you think was the most disatrous? What other fictional products have gone badly on their release? Let us know in the comments. 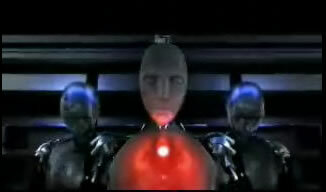 There are a lot of evil comptuers and computer programs like Tron or SkyNet. That would be cool to have a Jurassic Park dinosaur chewing on the Death Star. The best of course is Jurassic Park, if only for the classic line about the Disney ride breaking down. Like Argo, there's probably plenty of story potential in a movie from the perspective of exploring something that was a huge deal...from a certain point of view. Any of these could be interpreted that way.